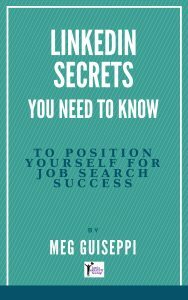 When you’re proactively job-hunting, you need to take advantage of every opportunity to advance your job search. 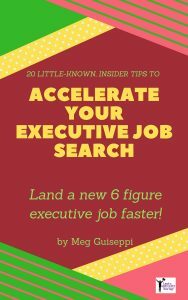 Although the best way to land your next gig is by networking your way into the “hidden” job market, certainly executive recruiters are also a source of jobs and should be part of your executive job search toolkit. 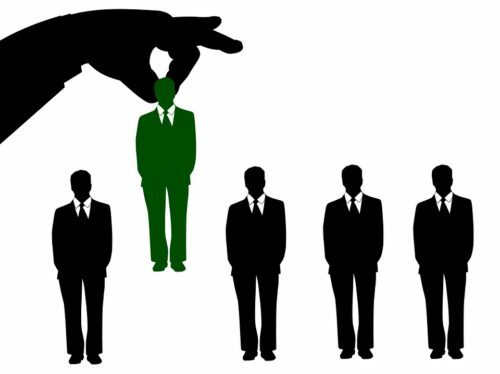 I don’t recommend that executive job seekers rely too heavily on recruiters to get them into their next role, but they should allot time to connect, and stay top-of-mind, with a good number of executive recruiters who specialize in their niche. First, you need to understand the difference between internal and external recruiters. Each kind of recruiter works differently. 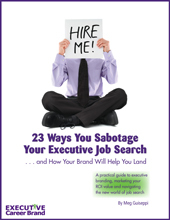 Understanding what motivates them can help you avoid making damaging assumptions that can derail your job search. Knowing how they work with candidates can help you to build positive, mutually rewarding relationships with them. Also known as “corporate” recruiters, they work inside the employer’s organization and usually collect a paycheck (salary) from the employer who has the jobs open. Their office will typically be on the employer’s premises, and their email will typically be part of the employer’s email. So, their email will probably be Jane.Doe@[employer] or possibly HR@[employer], recruiting@[employer], or something similar. Some internal recruiters are “contract” recruiters who recruit for the employer for a contracted period, and are paid by the organization which has the contract with the employer. Contract recruiters typically consider themselves to be on the staff of the employer. Their income is not determined by how many people they refer who are hired. “Also known as “independent” recruiters, they do not receive a paycheck from the employer who has the open jobs. They work for someone else, a recruiting firm or agency, which issues their paychecks. Some, of course, work for themselves. None are on the payroll of the employer with the open jobs. Go to Susan’s article above for more about the pros and cons of working with internal recruiters and, for more about external recruiters, see her article, How to Work with External Recruiters. 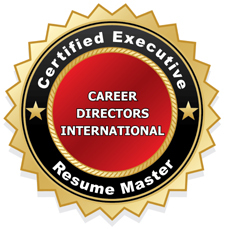 What is the biggest misconception executive job seekers have about recruiters? 1. Treat them like you would any other networking contact. Build a relationship with them first (and stay top-of-mind with them) – before asking for their help. 2. Get an introduction or referral to a trusted recruiter from someone in your network. 3. Social recruiting is the norm now. Recruiters mostly source candidates via social networks. Be sure your LinkedIn, Twitter, Facebook and other social networking profiles are SEO-friendly (Search Engine Optimization), to make you more visible and findable to them. 4. 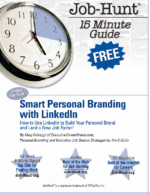 Interact with recruiters and build effective virtual relationships with them via LinkedIn, Twitter and the other social networks where they hang out. 5. Also try to meet them in person, so they’ll get to know you as a person, not just a candidate. This will help them remember you better, too, when good-fit opportunities come their way. 6. Stay in touch with your recruiter, but not too often. Many appreciate emails over phone calls. Communication is essential when your situation changes (i.e., another job offer pending). 7. If a Recruiter contacts you about an opportunity that is not of interest, offer to assist them with referrals or to be a resource for them in the future. 8. To eliminate some of the frustration of working with recruiters, always ask them how their process works, what happens when you send your resume to the recruiter and what you should expect from the recruiter in terms of follow up or actions. Jeff Kauflin (@JeffKauflin on Twitter) reported on research conducted by Forbes, working with the analytics firm Statista, to compile a list of the 250 most well-respected American executive search firms (for annual salaries of $100K and above). The study also ranked 250 professional search firms (for annual salaries of $100K or less). For the two studies, trade organizations and company databases were consulted, and thousands of employees who had worked with recruiters over past 3 years and HR managers were invited to take an online survey, asking them to recommend up to 10 recruiters. The survey yielded 20,000 recommendations. Those ranked highest on the lists garnered the most recommendations. Perhaps not surprisingly, the well-known firm Robert Half made it into the top 10 for both lists. The top firm on the executive search firms list is Korn Ferry, based in Los Angeles. With 7,000 employees, they work with 93% of the highest-grossing companies in the U.S, placing executive candidates in many sections including investment banking, industrial manufacturing and education. Most of the recruiters on both lists are located in New York (41 executive recruiting firms and 18 professional recruiting firms), followed by Chicago and Atlanta. View the full list of the 250 top-ranked executive recruiting firms in America. For salaries under $100K, check out the 250 top-ranked professional recruiting firms.